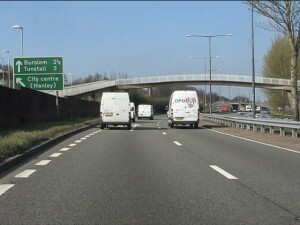 White van men often get a bad rap as people still consider them to be some of the worst drivers on the UK’s roads. In fact, in a survey of 1000 people taken earlier this year, 43% said that men who drive white vans are the worst drivers on the road. Now, before you start ranting and raving over this harsh claim, both the AA and law firm Cassell Moore (who commissioned the survey) said that the results just prove that people still believe in outdated stereotypes. Paul Watters from the AA said: “It’s perhaps no surprise that white van drivers come in for some flack given that there has been a 63% increase in the number of vans on UK roads in the last twenty years. So let’s change this stereotype. Yes, there are more white vans on the road, but you know what, that is a good thing. In fact, the more white vans you see the more likely the UK economy is doing well, so next time someone moans about you remind them that without you they would be suffering a whole lot more. Don’t believe us? Earlier this month the Society of Motor Manufacturers and Traders (SMMT) stated that in 2015 a whopping 371,830 vans were sold in the UK, up 15.6% on 2014. This rise is due to more and more people shopping online, thus requiring more couriers to take to the roads and deliver said items. Now I hear you say that this is all well and good but the economy is still struggling. Well, in actual fact the amount of vans sold in 2007 before the market crash was lower than in 2015 at just 337,741. Furthermore, the British Retail Consortium recently claimed that in November 2015 more than £1 in every £5 was spent online on non-food items – that’s a whole lot of Amazon deliveries! Discussing this new data, Kevin Grey, president of the National Courier & Despatch Association, said: “The ‘man with a van’ is going to work for larger companies. The internet and online shopping is creating more and more demand and I can only see it getting bigger.” This means that over the next few years we may start to see white van men not only working for bigger companies but also gaining the respect they deserve. 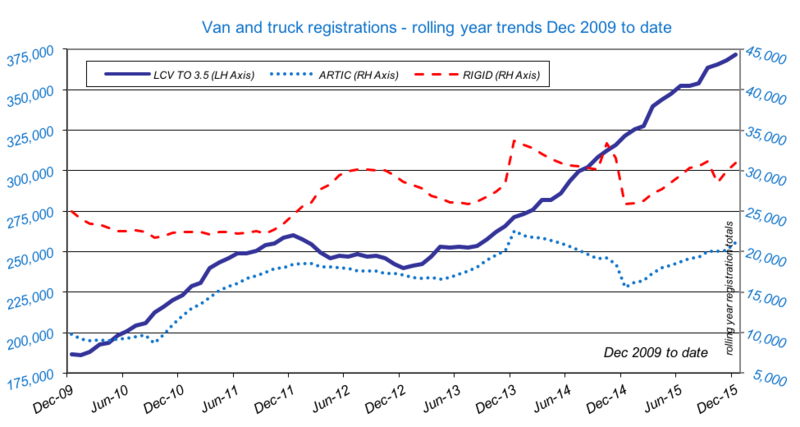 Furthermore, it’s not just van sales that have shot up over the past year, as sales of rigid trucks rose by 19.5% to 30,930, sales of articulated lorries increased by 35.6% to 21,134 and sales of buses and coaches increased by 22.8% to 9,025 in 2015. So the next time you hear someone say something negative about white van drivers make sure you remind them that without you not only would they fail to have their goods delivered but you are a positive sign that the economy is growing. If anything, they should be thanking you! ← Is your van affected by the Volkswagen emissions scandal?